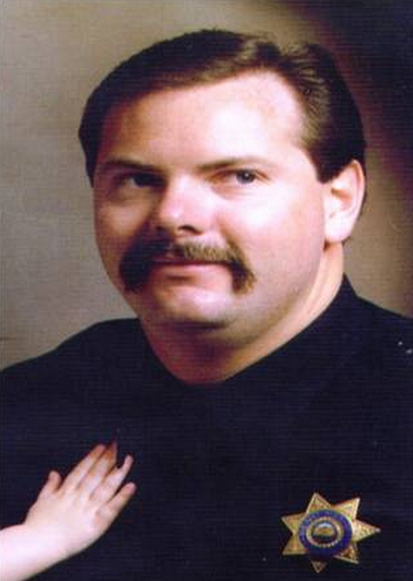 Officer John Bohach was shot and killed with a high-powered rifle while he was assisting other officers in setting up a perimeter outside a house following a pursuit. An officer had stopped a vehicle for a traffic violation. The suspect suddenly sped away and was pursued by another officer to the location where the man ran into the home. As Officer Bohach assisted in securing the area, the suspect shot him in the chest. Officer Bohach was not wearing a vest at the time. The suspect was apprehended later in the afternoon after a SWAT team stormed the house. The man was sentenced to two consecutive life terms. Officer Bohach had been employed with the Reno Police Department for 13 years, and is survived by his wife and two daughters.